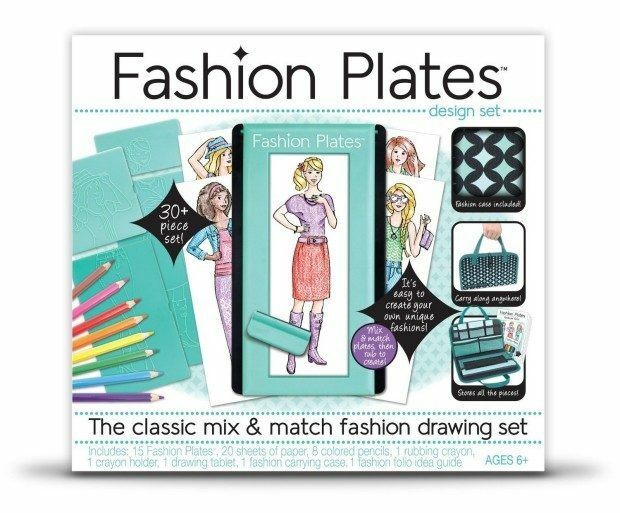 Fashion Plates Deluxe Kit Only $21.49! You are here: Home / Great Deals / Amazon Deals / Fashion Plates Deluxe Kit Only $21.49! Do you have a budding designer at home? Head over to Amazon to get this Fashion Plates Deluxe Kit for Only $21.49! Shipping is FREE for Prime members or on orders of $35+! Create your own unique fashions with this mix and match drawing set! this 12x13x2 inch package contains fifteen fashion plates, twenty sheets of papers, eight colored pencils, two rubbing crayons, one crayon holder, one drawing tablet, one fashion carrying case and one fashion folio idea guide. Recommended for ages 6 and up.